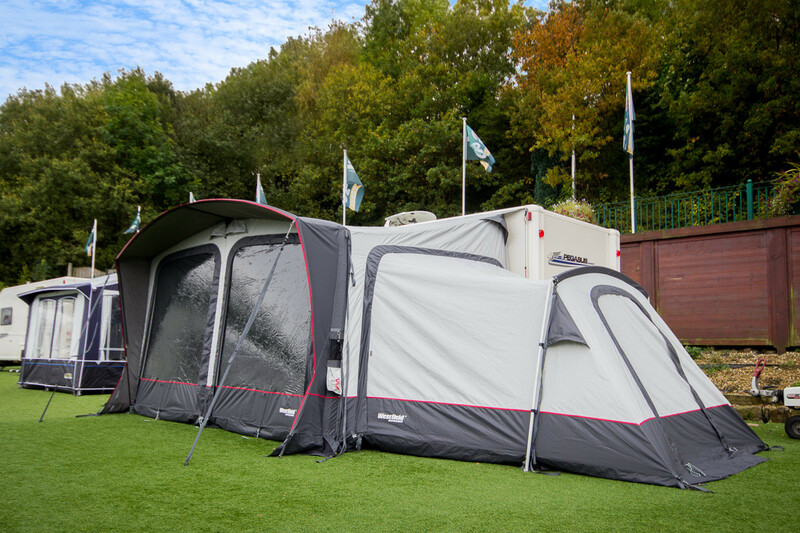 Quest Leisure has introduced the Avant Garde Omega caravan porch air awning as a special edition for 2017. There has only been a limited amount produced and Glossop Awnings is one of the only stockists! 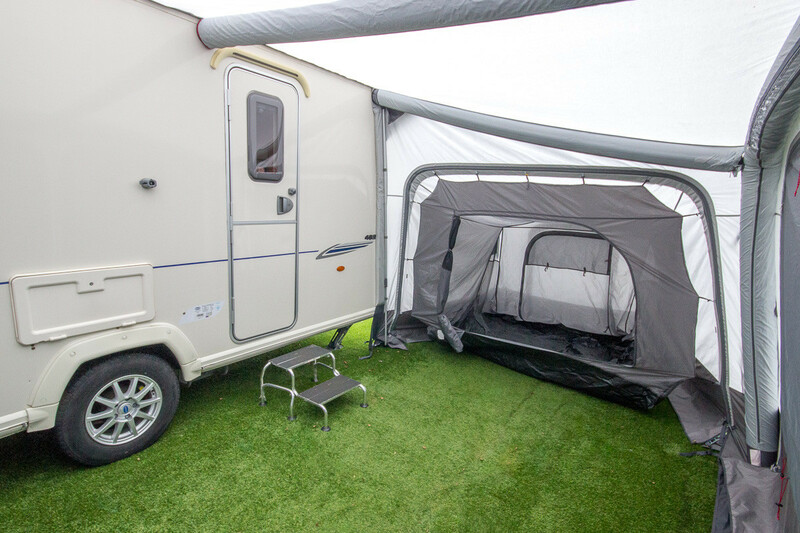 The Omega is styled like a traditional awning but has all the benefits and convenience of an air awning. The AvantGarde Omega really is one of a kind! 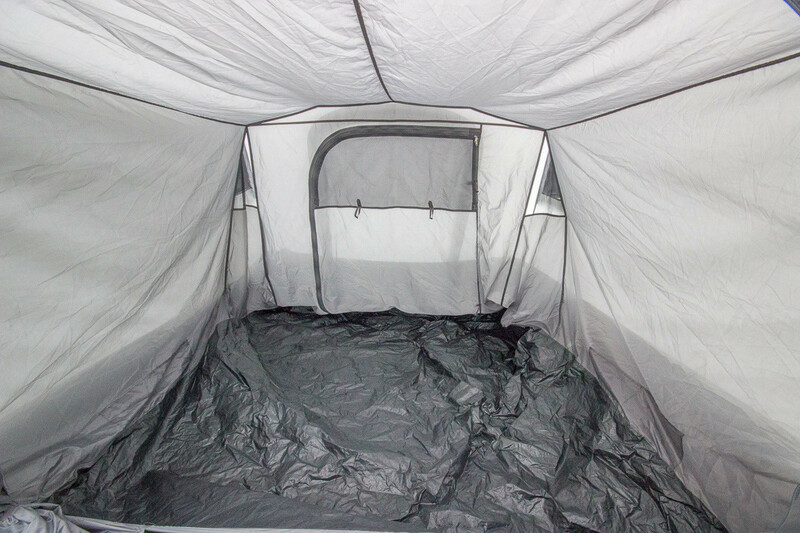 This air awning offers a combination of speed, weather resistance and durability. 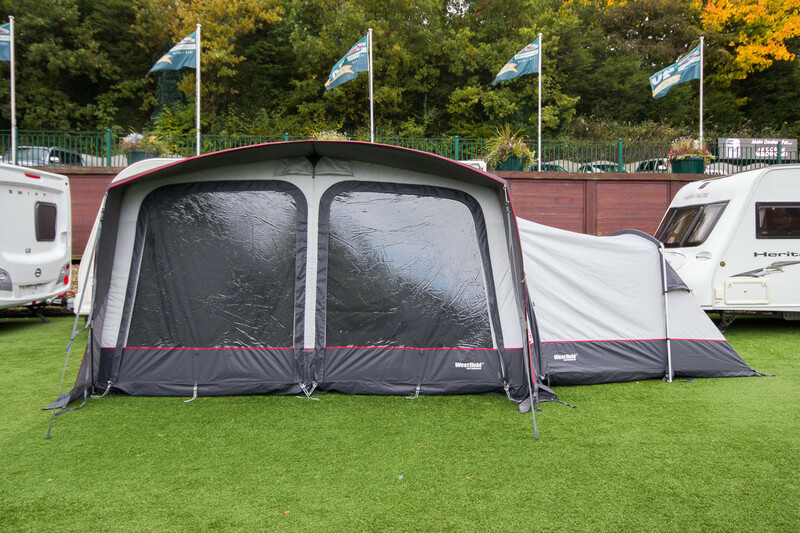 It has been created using a high quality Quest Tec5 polyester material which is no longer available to manufacture and the AvantGarde Omega is the last awning to benefit from this fantastic material. 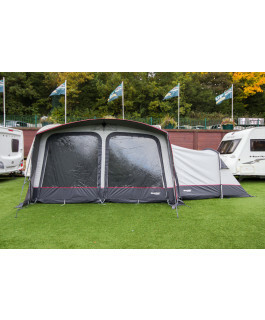 This air awning boasts a 5 Year Anti-Fade Warranty providing a long lasting peace of mind, whilst still being light in weight compared to similar awnings on the market. 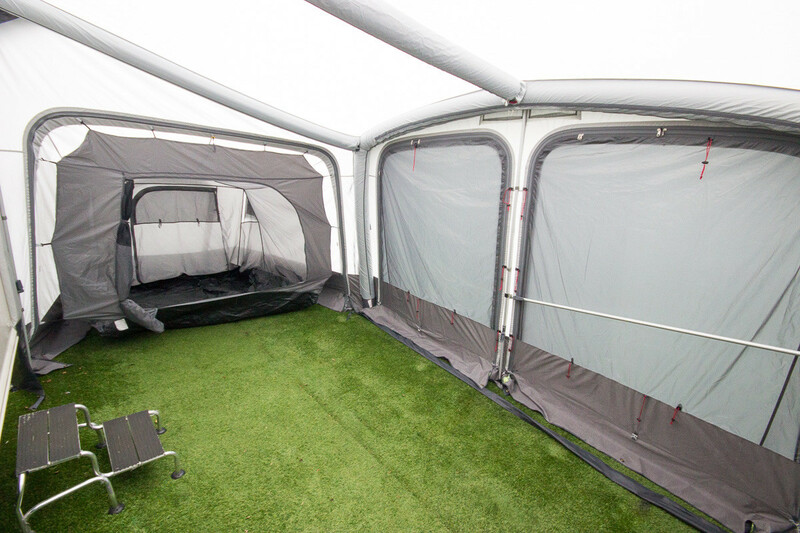 Quest Leisure’s excellent Advanced Air System 2 is included in the Avant Garde Omega awning. 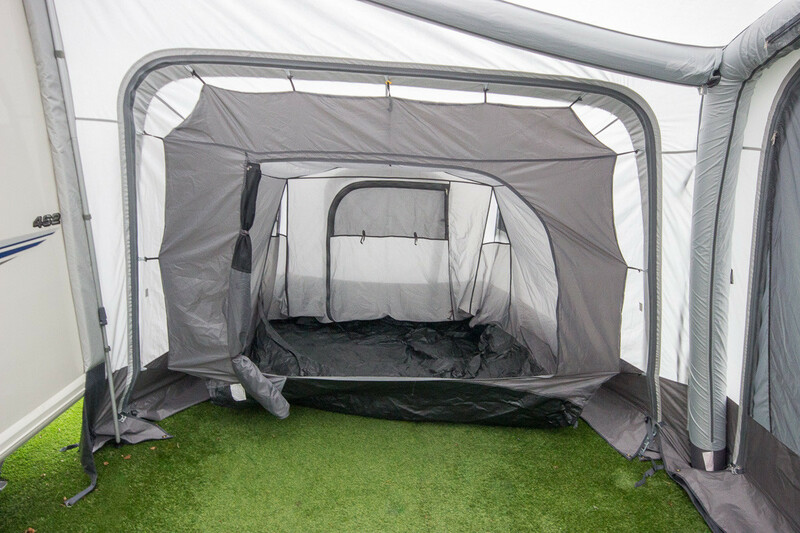 It can be fully inflated within minutes, making set up extremely quick and stress-free allowing you to more time to enjoy your break. Once fully inflated and pitched, the strong air tubes keep the AvantGarde Omega sturdy even in worse weather conditions. 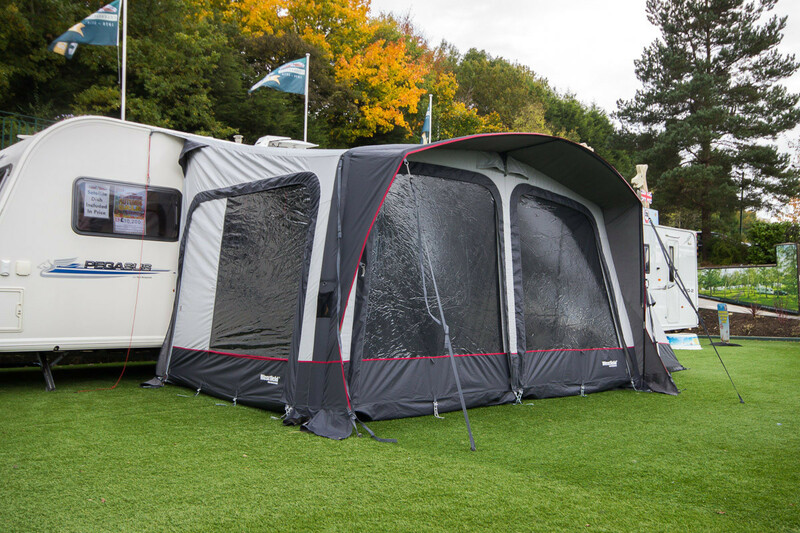 The Avant Garde can be extended by the use of either one or two annexes which are attached to each side of the air awning. This is a fantastic way to create more space for storage of furniture or sleeping guests. The large clear windows ensure the maximum amount of natural light can get inside the air awning, giving a light and airy feel.